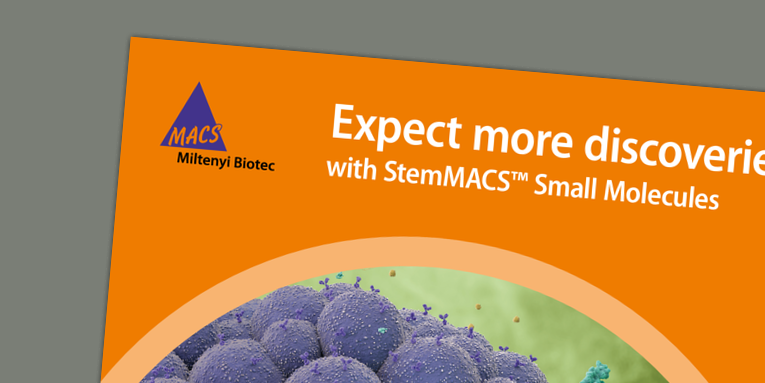 StemMACS™ Small Molecules are invaluable tools for modulating cellular reprogramming, stem cell self-renewal, and differentiation. As low molecular weight compounds, they can effectively penetrate the cell membrane to activate or inhibit key signaling pathways within the cell. Effects can be easily fine-tuned by varying the small molecule concentration. Their chemically defined nature ensures defined cell culture conditions and offers consistent biological activity with each lot. StemMACS Small Molecules are rigorously tested by HPLC and mass spectrometry to guarantee highest purities. They are designed for use with stem cell cultures and are an ideal, cost-effective complement to MACS Cytokines and Growth Factors.